Precision engineered with a super slim 1¼" threshold, this award-winning ultra-low shower receptor is made from eco-friendly blu∙stone™ material - crafted primarily from quartzite. 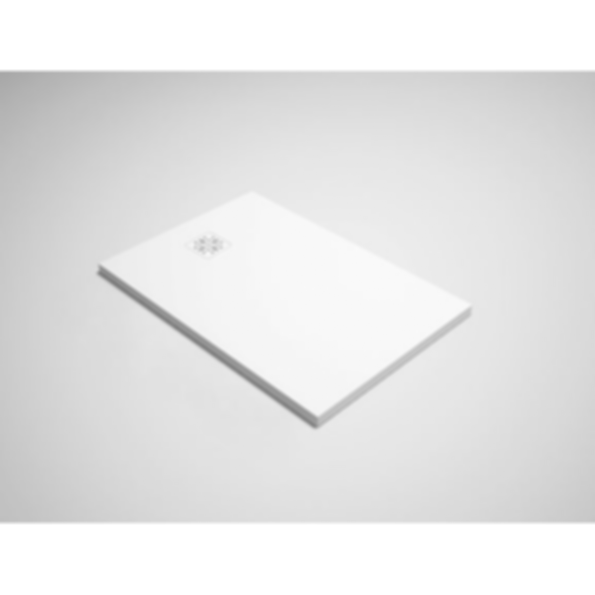 Visually luminous and soft - almost warm - to the touch, this seamless one-piece shower base is exceptionally durable, making it suitable for both residential and commercial applications. Designed for drain versatility, alcove or freestanding installation and flexible surface-mount or recessed installation, this shower base is ideal for new construction and remodels. The shower base measures 47¼" l x 31½" w and can be cut to fit on-site. Established in 2006, Blu Bathworks is a Canadian modern bathware design-house + manufacturer based in beautiful Burnaby, British Columbia. Founded by designer Michael Gottschalk, Blu Bathworks owes its continued growth to its design philosophy based on producing bold architectural bathware that balances form and function and to a flexible business strategy that optimizes delivery.